This is a brief overview of modular buildings that are under consideration for the development of a new renal building at St George's Hospital, Tooting site. Modular buildings are buildings that are built in sections (modules) off-site and transported to the site by lorry and craned into position on a pre-prepare concrete base-slab and foundations with services (electricity, water, sewerage, telecoms, etc) ready. Each of the modules comes with all the facilities (electrical fit-out, kitchens, toilets, bathrooms etc) installed. 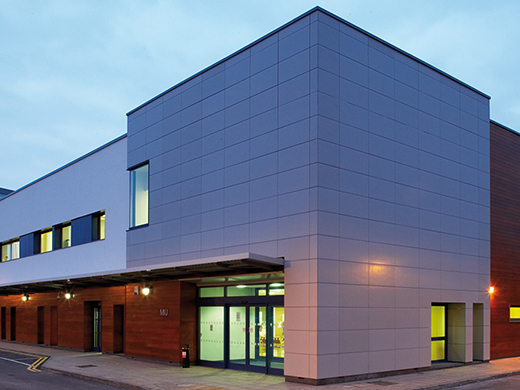 Once joined together on site, the building then has the medical facilities fitted, and if the building is to be permanent rather than temporary, the building often has brick cladding added to the outside of the building. 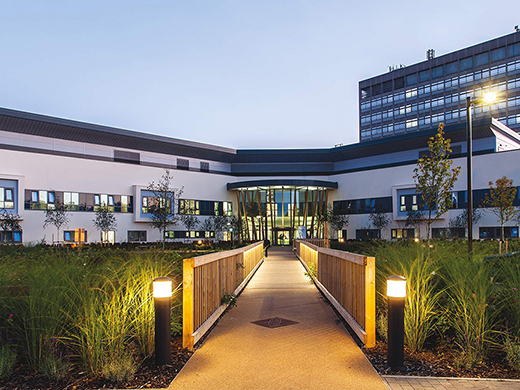 Where have these buildings been used before in the NHS? The extension to the front and right of St James Wing is an example of a modular building. It can be seen in the SE corner of the St James Wing in the map below. This form of construction is becoming more popular within the NHS. For example, some temporary modular buildings, created for the Olympics 2012, were donated to the NHS following the games. Companies who advertise this capability often cite references of where they have done work with the NHS. The following are links are websites of some such companies. What are the benefits of a modular building? Lower construction costs - the ability to work, uninterrupted in a "factory" setting, simplifies construction and reduces its costs. 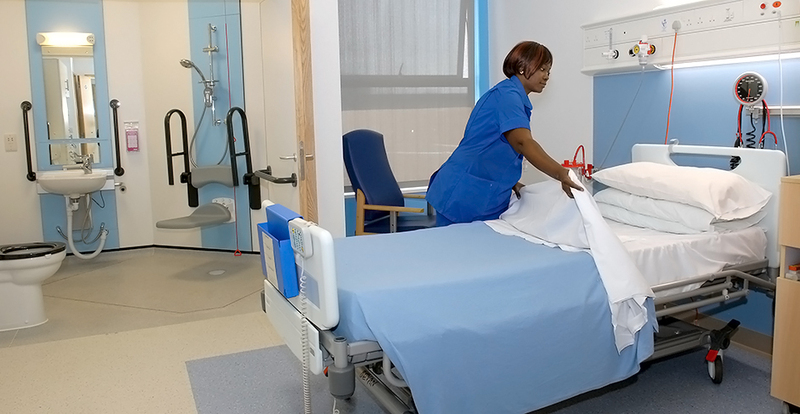 Less disruption - by performing most of the construction off-site, noisy work near the existing hospital and therefore staff and patients, is reduced. Faster completion times - both the complete construction time and the construction time on-site can be reduce by over 50% compared to a traditional approach. Budget certainty - this method is more likely to come in within budget.